When the WWTP is equipped with sludge treatment system, and waste’s analytical features conform to legal values, these can be directly agriculturally valorized without undergoing any other facility or treatment. It’s a liquid or pasty-looking sludge which must be managed by an authorised manager who would provide legal coverage to the activity. Muns is provided with the compulsory authorizations in the territories where it operates, it has a qualified engineers team to provide technical solvency and determine criteria, the appropriate tools to ensure traceability, accredited laboratories, experienced staff, and suitable mechanical resources to perform. Either because of size, space or appropriate technology lack, when a WWTP hasn’t sludges treatment phase, these should be treated in an external facility. We face exactly to the same requirement for all agroindustrial, agricultural or livestock fermentable organic materials, whose don’t have a defined way of management. 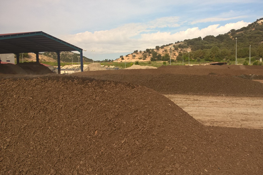 Composting is a very interesting management way for these products. In authorized facilities, the confined materials will be submitted to a biological process, which reproduces in an accelerated way, the organic matter cycle in nature. By means of specific machinery and a planned turning process, wastes mixed with structuring materials, will become stabilized and sanitized. The monitoring of all vectors involved is very important to correct the process on the go. The final result is a product with high biological and fertilizing value with multiple uses. 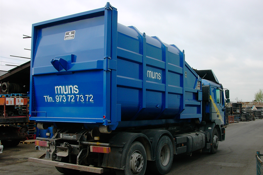 Muns provides all the solutions to ensure the proper management and destination for these materials, determining in each case, the most suitable treatment and management facility, as well as the collection and transportation means. 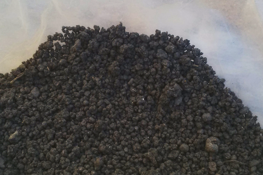 Fermentable materials that we are talking about, are also likely to be recycled in authorized methanation plants. We are in front of real industrial stomachs, able to take profit of gas power, generated by the anaerobic fermentation of materials, used for heat and /or electricity production. 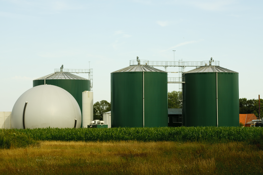 This management way has had an intense trajectory in the last years, and even though its viability is highly dependent on energy prices, it represents an interesting alternative to composting, especially when waste has high moisture content. 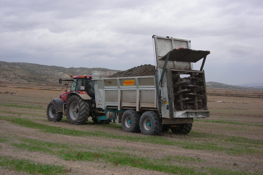 The resulting product is an organic stabilized material called digestate, with an interesting fertilizing power that brings together the nutrients from all its incoming materials (manure, slurry, bio-waste, etc.). Muns selects the best managing alternative depending on materials nature and market opportunities, providing the best solution that producers require. From our logistics department, we deal with organizing the entire system of legal, technical, documentary and media requirements, adapting them to the different management casuistry. A comprehensive service that covers all the needs throughout all phases of the process: sampling, chemical analysis, technical reports, advice, means of withdrawal, transportation, soil application, official documentation and monitoring.